Enhance integration and diversity in the arts with works uniting people of all abilities. Provide successful, independent and creative role models for those with disabilities. Erase negative stereotypes about people with disabilities in professional careers, primarily in the arts. Instill greater understanding and professionalism in individuals of all ability levels. If dance is an expression of the human spirit, then it is best expressed by people of all abilities. That is the fundamental belief behind the Dancing Wheels Company & School. 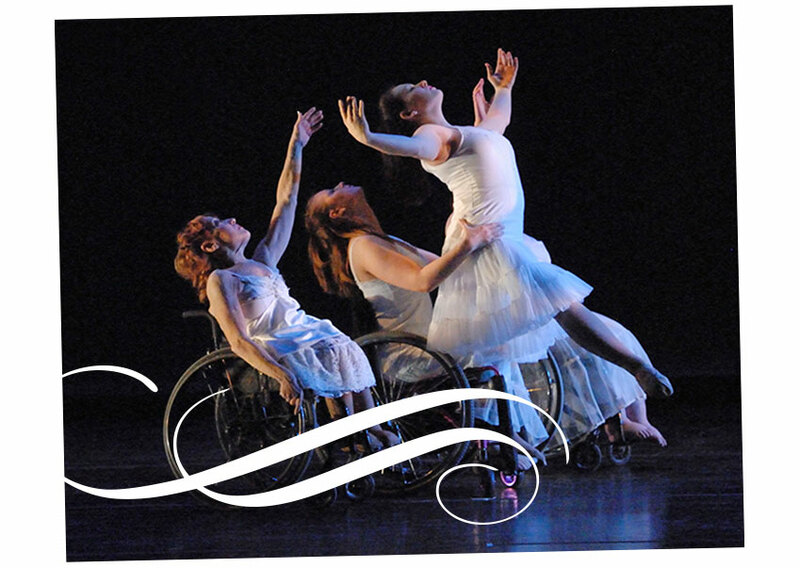 Considered one of the premier arts and disabilities organizations in the U.S., Dancing Wheels is a professional, physically integrated dance company uniting the talents of dancers both with and without disabilities. Mary Verdi-Fletcher, the first professional wheelchair dancer in the U.S., founded the Dancing Wheels Company in Cleveland in 1980. Born with spina bifida, Mary wanted to offer others with disabilities full and equal access into the world of dance. An almost unimaginable concept at the time, Mary’s vision and passion have since helped to revolutionize our very notion of dance – as well as what defines a dancer. Furthering the mission of inclusive arts and recreation opportunities for all, the School of Dancing Wheels proudly opened its doors in 1990. Its state-of-the-art studios were soon regarded as a world-class training center for dancers, choreographers and educators. That same year, a partnership with the Cleveland Ballet created the ground-breaking Cleveland Ballet Dancing Wheels which went on to delight audiences for nearly a decade. Now part of Professional Flair, Inc., a 501(c) arts and disabilities organization, Dancing Wheels continues to travel the globe advocating disability awareness and entertaining 30,000-50,000 people each year. With a repertory of over 40 works from nationally-esteemed choreographers and a message of inclusion and accessibility, the Company continually expands the reach of artistic possibilities while celebrating the universal spirit of dance.